You are here: Home / Owner’s Manual / Small Business / Leadership / What’s the Plan? That made me realize, in order for a dream to become a reality, I need a plan. A good plan with enough detail and inspiration to keep me on track. I print that and laminate it and tape it to my computer screen. I’m looking at 2016 right now. Our theme is training and leveraging technology. My quote is, “Training and using the machine in 2016”. I have done this since we opened our doors and I believe it is a large part of why we are still here. It’s how I keep #LivinTheDream. What’s your plan? Write it down! 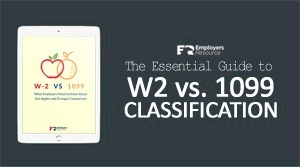 https://www.employersresource.com/wp-content/uploads/2016/09/whats-the-plan.png 300 775 Mary Gersema https://www.employersresource.com/wp-content/uploads/2016/07/employers-resource-national-PEO-strength-local-service.png Mary Gersema2016-10-24 07:00:422016-09-22 13:43:56What’s the Plan?